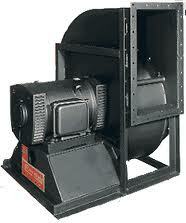 Industrial high pressure blowers, centrifugal and axial fans, high temperature ventilator fans. 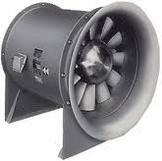 Sales of roof and wall exhaust and supply fan blowers, radial blower fans, tubeaxial inline ventilators. Chicago Blower/Canada heavy duty axial and centrifugal fans are designed to handle applications involving erosive and corrosive gases, large capacities, high pressures and temperature extremes. To meet these operating conditions, Chicago Blower/Canada heavy duty fans are designed and selected with the use of modern computer techniques guided by over 100 years of fan engineering experience. Comprehensive fan testing confirms design decisions. Quality manufacturing standards guarantee long service life of CBC fans and blowers. 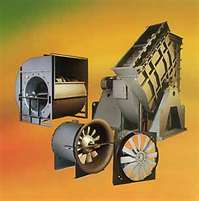 Over the years, Chicago Blower / Canada supplied fans, blowers and pumps to a wide range of industries and applications. When prolonged service wears fan wheel the logical replacement is a new fan wheel built to the original design. A technical support and sales agent will get a replacement fan wheel, shaft, bearings, accessories, etc. in the shortest time. She, or he may also recommend changes to extend service life and performance of your machinery, including special materials of construction, explosion-proof and spark-resistant design, variety of coatings and accessories, intended to meet practically any fan / blower application needs. 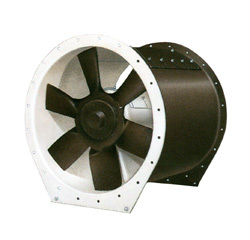 Chicago Blower air moving fan products are best know for "industrial quality" assuring reliable performance, relentless dependability and longevity. A staff of specially trained engineers will design a dependable fan that exactly fits customers' dimensional and performance requirements. Sales of industrial fans & blowers, high pressure blowers, centrifugal fans, axial ventilators, roow and wall exhaust and supply fans, material handling blowers & radial fans, scroll cage fan ventilators, high temperature fans and blowers, New York Blower, Twin City Fan / Aerovent, Chicago Blower fans, Peerless Fans, Dayton Ventilators, Sheldons fans & blowers, Canarm Leader ventilators, IAP fans, Industrial Air. A newly re-designed and improved high pressure MVA series mixed flow in-line fans finally resolves the problem of pushing air through high resistance and long ventilation ducts. Industrial ventilators and fans, process pressure blowers, regenerative pressure blowers; industrial; process and commercial heating; ventilating and air-conditioning equipment. Engineering of industrial high pressure blowers and ventilating fans. - Wide choice of fan accessories: weather cover/belt guard, spark-resistant construction, vibration isolation.